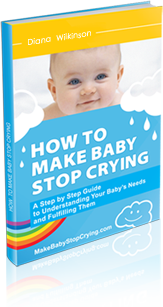 When your infant cries, sometimes it’s difficult to figure out the reason. But one reason your young baby might experience discomfort is because of a stuffy nose. If he or she has a cold, is getting over a cold, or if their cry has a clogged-up or stuffy sound to it, then clearing his or her nose might provide relief, make it easier to breathe, and make baby stop crying. This might be tricky, however, since you have to be very gentle and you can’t tell your infant to “blow” into a Kleenex. Most hospitals give parents a rubber bulb syringe when they send them home, but for new parents, using it can be intimidating. Here is a basic overview of how to clear your baby’s nose. First, try using nasal saline solution. Sometimes this does the trick by itself. Place your child on his back and tilt his chin up slightly. Squirt the bottle of saline spray once or twice into each nostril. In order for this to work best, your child should keep his head still, so gently, if you can, keep his head still for about ten seconds. Wait a couple of minutes and, if your baby still seems stuffy, move on to the rubber bulb syringe. First, squeeze all the air out of the bulb before gently placing the tip of the syringe up one nostril. Release the bulb, but do this slowly—this will create a suction effect. Remove the syringe from the baby’s nose, then squeeze it hard and quickly into a tissue. This will get any mucus out of the syringe. After wiping the syringe off, use the same process for the other nostril. Removing the mucus may help your newborn crying baby get more comfortable—and stop the crying. If he still sounds stuffy after five or ten minutes, try using the rubber bulb syringe again. Bear in mind, that the inside of a baby’s nose is very sensitive. For this reason, be slow and gentle while using the rubber bulb, and avoid doing it more than three times in one day. Saline drops can also be an irritant, so they should not be used more than a few days in a row or they may cause dryness and damage. If your baby seems to have an ongoing, constantly stuffy nose with no clear cause (like irritants or a cold), it might be a good idea to consult your pediatrician. And if your child’s nose is now clear but she is still crying, simply remain calm and look for other possible causes.